I really prefer my water processed with animal products. Doesn’t really matter what kind, just blend some up or filter the water through them or whatever. True. It’s like the glorious moment you realise your “milk” chocolate cookies have no milk in them! Shocking! So, if you’re vegan you have to look for other sources for hydration? 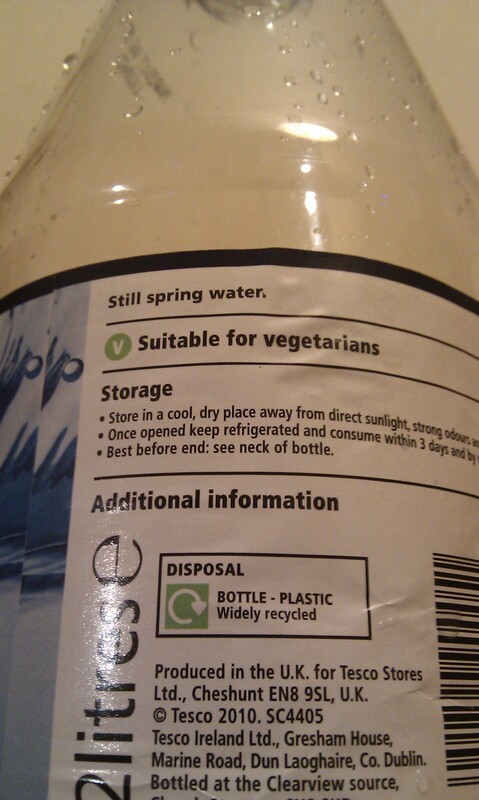 Just realised my Perthshire water is “suitable for vegetarians” only. Bummer.